This recently completed remodel of a guest and master bathroom included an updating of style and finish of the original baths. Extensive tile work, new fixtures, and new cabinets all contributed to a great new space. 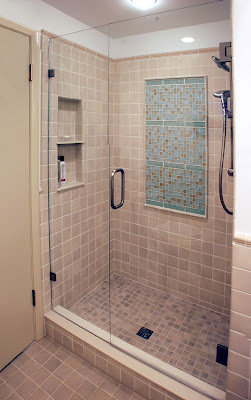 Master bath shower w/ frameless glass shower enclosure.